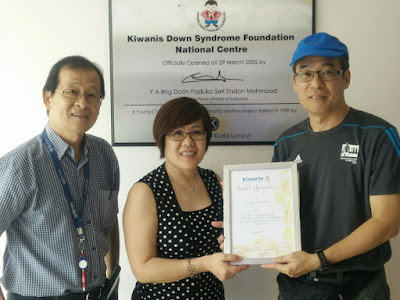 At the Allianz Pacesetters 4X3km relay Run on 17th October 2015, all the entry fees of the corporate category, totaling about RM47,000 was raised for the benefit of Kiwanis Down Syndrome Foundation (KDSF). Recently, KDSF handed our club a certificate in appreciation of our generous efforts. Representing Kiwanis Down Syndrome Foundation, Sunny Lee, Past President and Angie Heng, National Director. 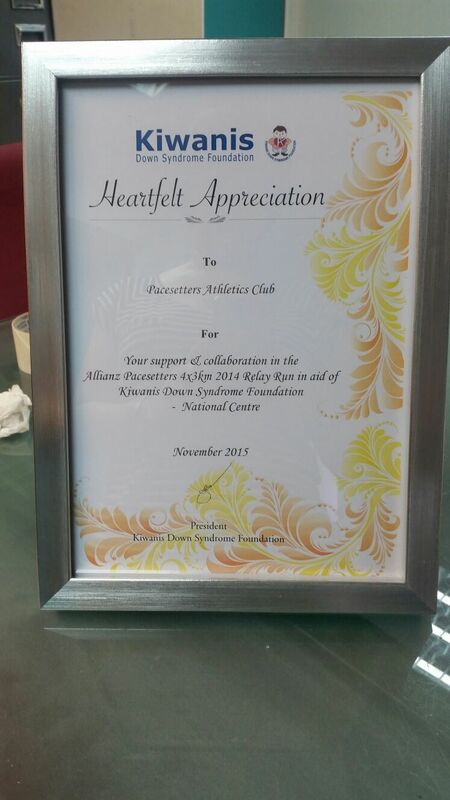 At right, President of our club, Wan Yew Leong.